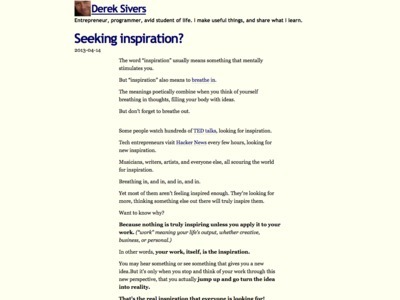 Tim Strehle’s Blog » Derek Sivers: Seeking inspiration? “The inspiration is not the receiving of information. The inspiration is applying what you’ve received.